Miss Berry tells Mrs. Ford that she will stop by on her way to Battle Creek to visit her. 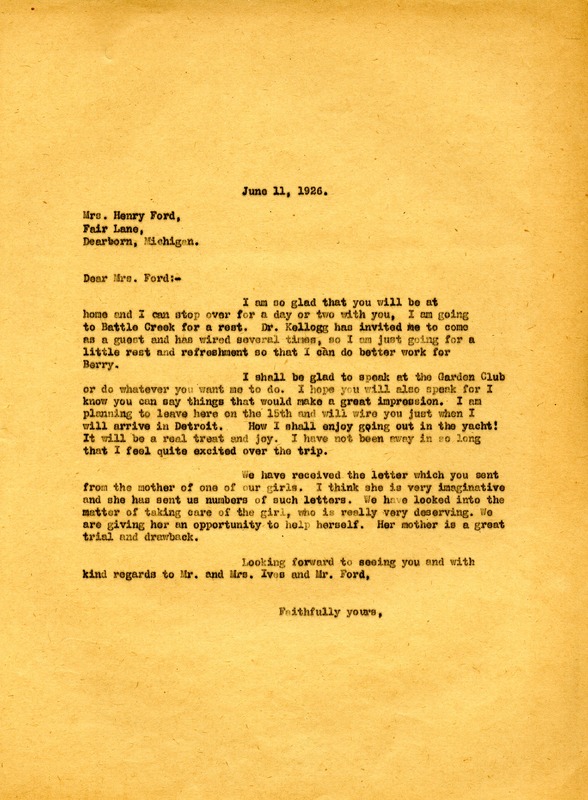 Miss Martha Berry, “Letter to Clara Ford from Martha Berry.” Martha Berry Digital Archive. Eds. Schlitz, Stephanie A., Meg Ratliff, Rachel Renaud, et al. Mount Berry: Berry College, 2012. accessed April 23, 2019, https://mbda.berry.edu/items/show/2283.